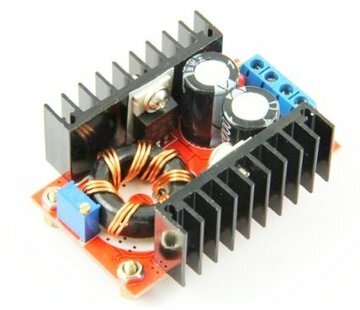 CC-VC Step Down Module - HTF Electronics, We Help Create Your Imagination! 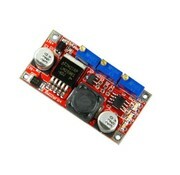 The dropout voltage: 1.5V, because of reducing module, in order to ensure the output steady. Please keep the minimum 1.5V pressure difference. 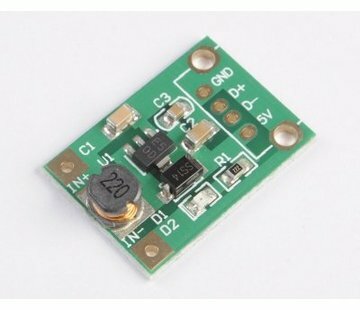 This product with the charge constant current indicating lamp, the charge indicator lamp, lamp current adjustable ultra small volume. Size: 48mm (L) *24mm(W) *11.4mm(high), not containing potentiometer (including the potentiometer height 13mm). Module nature: Non isolated step-down constant current. 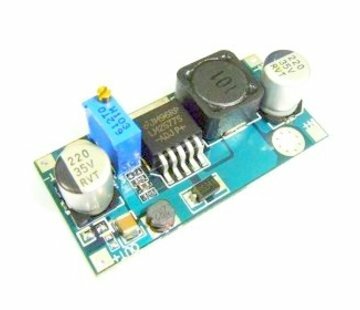 Constant voltage module (CC CV). Charging module. Scope of application: High power LED constant current drive, Lithium battery charging (including ferroelectric), 4V, 6V, 12V, 14V, 24V battery charge, NiCd and NiMH battery (batteries) charge, solar panels and wind generators. 2.Requires fixed output (between 1.25-30V arbitrary choice). Adjustable mode: Connect the power correctly(7-35V), and then monitor the output voltage use multimeter, and potentiometers (generally, clockwise turn boost, inverse to buck). Output voltage: Continuously adjustable (1.25-30V load regulation). Maximum output current: 3A, (more than 15W install fins please). 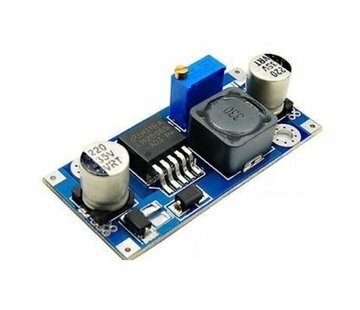 Turn lamp current: constant current value * (1% - 100%), turn lamp current and constant current value linkage, such as constant current value is 3A, turn lamp current set to 0.1 times of the constant flow (0.1*3A=0.3A), when the value of the constant current regulation into 2A, then turn the lamp current is 0.1 times of the constant flow (0.1*2A=0.2A). Working temperature: industrial grade (-40 ℃ to +85 ℃) (environmental temperature exceeds 40 degrees, please reduce power use, or to strengthen dissipate heat). Indicator: Constant flow indicator light is red, charging light is red, after charging indicator light is blue. Output short circuit protection: Yes, constant current (setting the value of the constant current). Connection: Wire can welded in PCB directly.